Tag Archive | "android ice cream sandwich"
Breaking: The Samsung Galaxy Tab 10.1 TouchWiz Interactive Emulator just went live. Samsung calls it an emulator, but its really a simulator! Still, it gives you a way to play with TouchWiz before installing it on your device. I am not a fan of OEM UI’s. I am even less of a fan when they are not optional (more on that later). User interfaces added onto a device by their OEM, instead of just using the one that is part of the associated OS, are always better when they can be enabled or disabled at the user’s discretion. They tend to be burdened with a lot of content that is just marketing or sell-through fluff, so being able to enable or disable them at will makes the bitter seed more palatable. 3rd party UI’s, in contrast, are designed to be competitive, and to make the developers money, and are therefore typically more lean and arguably provide more value. None of these trends have prevented Samsung from rolling out its TouchWiz UI for its flagship tablet, the Galaxy Tab 10.1, however, and maybe it is a good thing that they did. Software updates are big news these days. A press event to announce a new version of an OS would sell seats like a Justin Bieber concert, but to a much cooler crowd of people. There is no other tablet on the market today that is running Honeycomb with a custom skin, so Samsung’s release of the TouchWiz UX overlay is a first. My own exposure to TouchWiz (TW) was with an overlay for Windows Mobile 6.5. In that instance, it made sense. WM6.5 did not have much going for it in the GUI department, and Samsung took a very textual interface and made it graphical and object oriented. The most noticeable thing that most of the reviewers picked up on is how TouchWiz on the Galaxy Tab 10.1 brings what is arguably Android’s biggest differentiator, widgets, to the forefront. Samsung has implemented a customized widget system that brings a slightly more appealing color palette and some added functionality. The new GUI version is very much about liveness of data, and goes a long way towards increasing awareness from the surface of the GUI without making you dig too much further into an app. Many views, like news and weather, are aggregated so that you spend less time bouncing through apps to get up to speed on the latest. TouchWiz is, however, not just about widgets. Several new features come along for the ride with the update. One of those, Samsung’s MediaHub, reveals a pair of trends; one good, the other not so much so. The first trend is that there is this third tier of developer that is growing out of Android. You can think of it as Android being an engine, and developers using that engine as an SDK. But what is significant is that companies like Samsung and HTC who are going this route, are seeing the need to have their own media services coupled with the Android-flavored code-base their devices run on. MediaHub provides access to a lot of recent content, but it requires its own account and login credentials. The downside of this trend is the set of restrictions that we have seen on the rise concurrent with these services. In this case, Samsung restricts you to 5 devices that can access MediaHub content through one account. While it is unlikely that any one individual will have 5 Samsung devices, I am curious as to how MediaHub handles device retirement. Hopefully a little better than iTunes. The major downside to TouchWiz is what might happen to you of you don’t opt-in for the upgrade. Reportedly, if you do not install TouchWiz, your Galaxy Tab 10.1 will not receive future updates to the OS. Now, it is unclear to me exactly how far this goes. Engadget reports that, at a minimum, it means no Ice Cream Sandwich upgrade. I would believe, however, that actual firmware fixes to correct a problem with the device would still be delivered. However, even for that, it is tough to have a high degree of confidence. If Samsung has to spin two versions of a firmware update (one for TouchWiz and one for non-TW), then I can see the company dropping support within a year. Of course, not every firmware update should have an interface to the classes that govern the UI, although it is feasible that some would. Either way, it sounds like if you have bought into the Galaxy Tab, then you have, by Samsung’s definition, bought into TouchWiz as well. Regardless, most of the reviewers were pleased with the value and performance that the TouchWiz UI seemed to bring to the Galaxy Tab 10.1. The update will turn the current version of the Galaxy Tab 10.1 into the first Android Tablet to market with an OEM skin on top of Honeycomb. Could TouchWiz set off a new trend of skinned Honeycomb devices? It all depends on how well the Galaxy Tab 10.1 does at retail. If it does significantly better than other tablets out there, that just might encourage other manufacturers to roll their own skins for Honeycomb. Right now, it seems like general consumers are driven primarily by price-point. The technoratti seem to be mainly encouraged by performance. Every Android lover is looking for the same immediate-response experience that the iPad delivers. 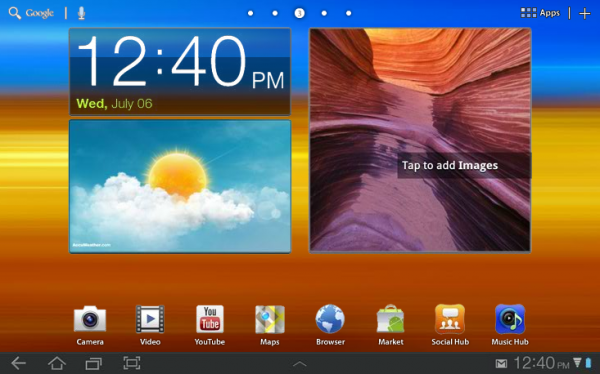 TouchWiz will need to prove itself fast and unintrusive to make it a positive differntiator of the Galaxy Tab product. Here are some links to the original Engadget review, as well as some additional perspectives from the usual suspects. Read on after the gallery for my more of my own assessment of what the TouchWiz UI may mean for users and Samsung. On Windows Mobile 6.5 (running on a Samsung Omnia II), one of the things I did not like about TouchWiz was the replacement of key apps with TW variants. So when you called up Calendar, if TW was enabled, you received a different view and different functionality in terms of input to create appointments, edit appointments, and so forth. This pervaded into text messaging, notes, and the phone view. in some cases, the TW variant was actually better, but in others it was not. I have found a similar effect in HTC Sense (running on the HTC Evo 3D); the Calendar app is the HTC Sense variant, which is not a 1:1 replacement for the Android calendar. This gets aggravating when running several Android devices, and then going to a Sense device and having things oriented slightly differently than every other instance of the app that you run. 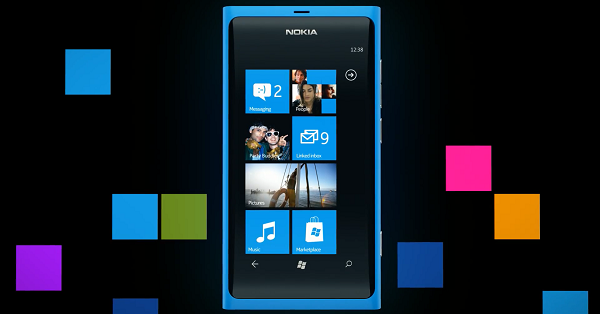 This is where the overlay starts to get in the way of using the device rather than the overlay being a helper. The bad thing is, you cannot turn Sense off, and when running stock, the Calendar app is not even available as an app, only as a widget. Hitting the widget even, just launches the HTC Sense version of the Calendar app. If TW has similar hooks, then users who run more than one Android device may not see it as appealing a differentiator as Samsung would like.